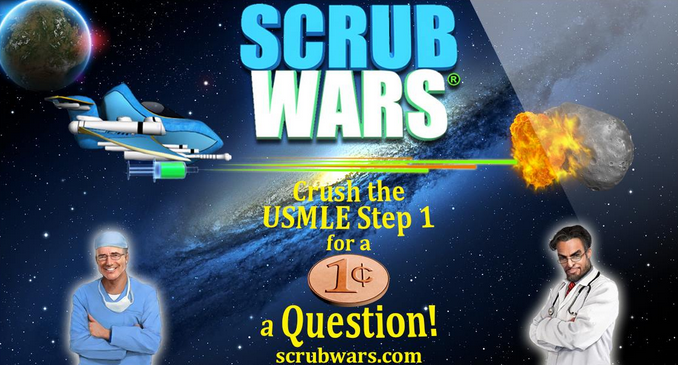 Recently hightechholic was contacted by the creator of the game Scrub Wars to test the beta version of this excellent gaming app. The idea of this interesting developer is great. He wants to create one dynamic gaming app that will help the medical students to master their board and course exams. This app puts the emphasis on education. All questions focus only on facts and in that way this app will serve you as an addition to your current studying program. It will help you to be more focused and to increase your skills and knowledge about medicine. You will still need to learn your material, but Scrub Wars will help you reinforce what you learned and remind you about the facts you still need to master. It is created by highly professional intellectuals and they've gave great effort in creating the questions. All questions are selected by professional test question writers (physicians, professors, residents, and medical students). Additionally, the question are edited by a double boarded physician (neurology and addiction medicine) prior to release. That is why it takes so long to get this app finished. The app has professionally edited soundtrack as well, it is created to give you energy, keep you concentrated and keep you going. Also, the graphics in this app is amazing. There are high resolution pictures from space. The app will have 16 levels and 1000 questions in total. Also, you can make in app purchases. For $0.99 you will get additional 100 questions for the subject you will select. Talking to the creators, they state that this first app will focus on the national board exams for allopathic and osteopathic medical students. What is interesting is that you will have mentors that will give you courage and motivate you if you are doing good and making good progress on the questions. But, also there will be character that will insult you if you don't know some questions. Scrub Wars is produced by Precision Enterprises, LLC and it is set to be released in January. There will be Android and iOS version. The novel—the world’s last surviving form of low-tech, popular fiction—understandably took the longest to benefit from the digital revolution. Music was the first area of entertainment the web conquered (legal and otherwise) followed by movies and television shows a few years later. E-books began stirring around this time, but they began as little more than side projects from more famous authors, like bonus entries in their catalogs, rather than a valid medium of their own. Then the Kindle, the Nook, and other e-readers came into prominence, and the e-book not only gained in popularity, but became the best hope for preserving the pastime of reading for the 21st century. These days, many people own several devices that can display e-books—every tablet, smartphone, and computer can let you start reading the latest bestseller in seconds. You might think it’s a tad excessive to get a device that is dedicated exclusively to the written word, but if you read even a single book a month, here are 3 reasons why a classic Kindle or Nook is a good gadget to have. Despite the massive advances in technology in the last few years, a computer screen remains a screen. And until the time when you can close your eyes and project your consciousness directly into a 3-dimensional, wrap-around internet via a device implanted in the back of your head, you won’t be able to read text-on-screen outdoors. You might be able to stream Breaking Bad on your iPad by poolside, if you’ve got enough shade, but you’re not going to be reading The Girl With The Dragon Tattoo there. That’s still the greatest selling point of the traditional Kindle or Nook—even above their meatier, full-colored successors—the fact that the screen looks like paper. Real paper! From the days when we hacked down entire forests, and displaced thousands of animals, just for the necessary material to print our stories on. And it was worth it. You need to be able to read your book outdoors, or it’s not a book, and the traditional e-readers handle this beautifully. Books used to always be the dependable entertainment medium when things went wrong—if you got stuck on a plane for hours, or in a house with no power, you had something that only needed a little bit of light and some attention. But if you’ve only got one media/entertainment device with limited juice, you probably aren’t going to choose a book over other essentials. When you’re waiting for a wrecker alongside the highway at 2:00 AM, courtesy of a broken fan belt, you aren’t going to choose a chapter or two of Gravity’s Rainbow when the last sip of your iPhone’s battery life is reserved for that spare call for when the driver can’t find you. And for carrying a second gadget around, you can’t beat an e-reader. They’re the lightest thing out there, the battery life is good for weeks, and they’re meant to take a little damage. You don’t have to worry about that little scratch on the back of your Kindle—it’s a displayer of books, not a Porsche. The biggest problem with spending money on e-books is feeling that you got your money’s worth. Media content has been getting increasingly intangible for a while now—downloaded albums and movies are without discs, cases, or inserts, with just the barest cover art to mark their presence inside the wild expanse of your hard drive. E-books are particularly susceptible to this; what used to be a concrete object that you could toss in your backseat or kill spiders with has been diminished to a text file. But a dedicated e-reader goes a long way towards remedying this—you can think of it as an encyclopedia that can display every book available within its pages, like the world’s library condensed into one volume. It gives your e-books a substantive feel, more so than if you simply have a kindle app next to the Safari icon on your iPad. The future of brick-and-mortar bookstores is uncertain—it may be true that the e-book becomes the only mainstream outlet for readers in the upcoming years, with paperbacks and hardcovers becoming nothing but expensive collector’s items. If that happens, you’ll want something that reminds you that books are more than just a text file on your tablet screen, so start preparing today with an e-reader. John is a blogger who considers the original Kindle to be one of the greatest gadgets of the last twenty years. He writes for Protect Your Bubble, an online gadget insurer that can protect your e-reader from theft, loss, accidents and more. While an unfocused trip to America’s leading electronics retailer will take advantage of your wallet with the best of them, you can actually find a great deal on a new-in-box iPad—if you don’t mind going back a generation. Currently, the 16 GB iPad 2 can be yours for $399. If you’re the kind that can’t stand not having the newest and shiniest toy on the block, then you’ll probably want to pony up the additional funds and go for the current generation. But if you’re looking for an entry purchase into Apple’s tablet line, and you don’t want to bother scouting out used deals, then you won’t find a better way to bring an iPad home on a budget. If you don’t have a problem with a pre-owned gadget, then this is the only place you need to go. You’ll be taking the seller’s word on the used condition of their tablet, but eBay has taken some monster strides forward since its inception, and these days it’s pretty hard to get ripped off. If you pay through PayPal, you’ll be protected against almost anything a seller might try to pull over on you, and eBay almost always rules in favor of a buyer in a dispute, so if you haven’t dabbled in the Internet’s greatest auction site out of a fear of getting taken, then worry no more. Additionally, we’ve been saturated with tablets over the last year and a half, which means there’s a ton of models that might not have survived the natural selection of the marketplace, but are available on the cheap to anyone looking for a backup or entry-level tablet. This is a retailer that isn’t especially well known outside of the gaming community, but even if you’ve never picked up a controller or purchased a video game for a family member, odds are that you’ve seen those black and red neon signs poking out from the storefront of your local strip mall. Known for having a considerable amount of refurbished gaming consoles, GameStop has officially gotten into the tablet market, and they have a lot to offer. A professionally refurbished iPad 2 can be yours for $349.99, a whole $50 less than a fresh one from Best Buy. 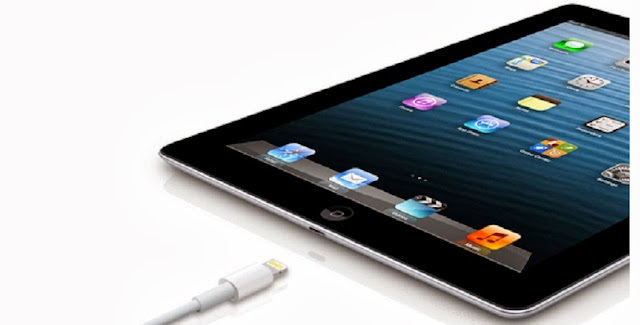 $450 and up will get you into a refurbished iPad 3 of various storage sizes. They also carry a warranty of some kind from GameStop themselves, with additional warranties available for considerably less than if you were buying it from a retailer that only deals in new products. Any of these places will equip you with a tablet on a budget, depending on what kind of condition you’re most comfortable with. If you don’t mind a few dings or scratches that can easily be covered with a case of some kind, then you can save yourself a few hundred dollars and still get to walk around with the world’s most futuristic computer under your arm. John is a tech blogger and eBay enthusiast who's always on the look out for a great tablet deal. He writes for gadget insurer Protect Your Bubble, who can make sure your new tablet stays protected. Whilst there's undoubtedly money to be made in the SEO sector, any company that is started solely for cash will struggle within this particular sector. SEO requires a LOT of work, and a lot of learning. A good digital marketer is required to consistently dedicate themselves to learning new skills and new programs simply in order to ensure that they stay up to date. If you don't have the passion to constantly learn, you'll find yourself irrelevant within months. There are hundreds and hundreds of companies in your country that offer SEO services. So what sets your company apart. 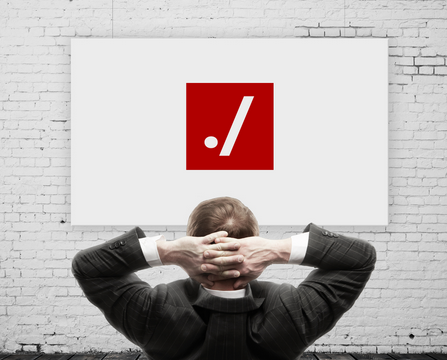 Remember, some of those companies will likely be far better at SEO than you will! So how are you going to set yourself apart. Through social media? Or by focusing on local search? Or by focusing on a particular industry? Always find a way to set yourself apart from everybody else. It's now the norm (thank God) for companies to employ proper writers in order to create their content, even if it's on a freelance basis. However, because of this it's becoming more and more valuable to have the BEST writers working for you. Don't be afraid to splash out for one or two pieces of high quality journalism here or there - it might be the most valuable investment that you ever make. With the amount of companies seeking to make their mark in the digital sector, it can seem, sometimes, that you don't have a hope of reaching anyone. However, that's not the case. With entrepreneurship constantly growing (especially in the UK), there is a constant stream of new businesses that need help. Try and genuinely offer them help. Head to networking events, and genuinely chat to people. For those of you not familiar with the term, 'woodshedding' means, quite simply, really learning your stuff. If you're charging people through the nose for SEO services, then you should be able to deliver. There's nothing wrong with being caught short here and there - the industry moves so fast it's virtually impossible not to be - but ensuring you have a positive attitude towards your craft is important. The first time you heard about an e-book, you probably wondered why you’d want to pay the full price of a novel for what is essentially a text file, something that could be lost in the shuffle as easily as any Word document or PDF that’s been buried in the depths of your hard drive. But in an age where every e-book from Amazon or Barnes & Noble is permanently stored in your online account with that company, you never have to worry about losing a couple dozen books at once if you accidentally drop your suitcase on the unsuspecting screen of your e-reader. Just register a new device with your account, and every book you’ve ever purchased is available in moments, like a Noah’s Ark full of John Grisham thrillers. This kind of protection is unprecedented for bibliophiles, who in the past didn’t have the option of re-downloading their library of hardcovers if the moving company sent their boxes to Alaska by mistake, or if uncaring hands broke the bindings on every paperback on the shelf. This is something that you might not think would bother you, but after you’ve read your first 4 or 5 books on an e-reader, you may find it a little awkward or irritating that so many books—especially those in a series—come in a variety of sizes. You may have picked up the mass market paperback of Game of Thrones in a grocery store, gotten hooked, then gone to Barnes & Noble to get A Clash Of Kings and found that they only have the larger, bulkier trade paperback, or only the hardcover. You don’t want to wait until you can find one in the same size as the first book, so you end up with a series of books that look severely mismatched on your shelf, like you sent one of your kids to private school and the rest had to survive downtown with the public. A comfortable e-reader gives you everything in the same size and dimension, and you never have to worry about lugging around an 800-page behemoth that you didn’t actually want in hardcover. Most of the things in our culture that are instantly available aren’t really good for you—fast food and reality television are within reach 24 hours a day, but make them too much of a habit and your body and mind will start to suffer for it. E-books, on the other hand, take advantage of your momentary desires, but won’t leave you feeling burned out afterward. If you read a sample chapter of something on Amazon during the commercials for CSI, you may find yourself intrigued enough to want the whole book. But when you finally have some free time later in the week to hit up a bookstore or order a paperback online, you’ve forgotten all about that fleeting literary urge. With an e-book, you can start reading past that sample chapter in moments, and take advantage of that momentum to discover a book that you may have never gotten around to otherwise. Let’s face it: it takes quite a bit of effort to read a book these days, so you have to stoke that fire with whatever tools are available. If you’re dead set against the approaching digital tide, than these points probably won’t offer anything new to convince you. But if you’re on the fence about e-books and e-readers, then you owe it to yourself to take advantage of this incredible new medium. You’ll read more, you’ll ultimately save a bit of money, and you’ll have a personal library at your fingertips anywhere in the world. John is a tech blogger who cherishes every moment with his Kindle. He writes for a variety of companies, including gadget insurer protectyourbubble.com, who can help protect your e-reader from theft and damage. Social media marketing has become a very powerful mantra in the business world. Businesses both big and small all over the world are creating an online presence to increase sales and profits. It is widely accepted as one of the most effective way to keep in touch with existing customers and to create new ones. Social networking sites like Facebook, Linkedin and Twitter are fast becoming the ideal place to promote products and services, because they not only reach a lot of people, but people who already may be very interested in what you are selling. Because these sites are all still relatively new, many businesses have not fully embraced the idea of using them as marketing tools, giving astute business owners a window of opportunity to get ahead of their competition. People of all age groups, from all parts of the world with diverse interests and tastes, visit the top social networking sites. Social media helps you figure out the pulse of online users and plan marketing strategies accordingly. Online marketing enables high levels of interaction between customers and businesses, often on a very personal level. Social media also increases interaction between customers themselves, giving satisfied clients a chance to quickly spread the word about your services. Blogs and online forums are fast becoming excellent platforms for various promotional activities and product launches. The message that needs to be conveyed reaches the intended audience immediately and creates a demand. Social media marketing is a very important part of any businesses’ marketing strategy in the 21st century, especially when paired with an effective search engine optimization (SEO) campaign. A presence on the first page of search engine results will be noticed by online users and enable much needed visibility and brand identity. Moreover, the majority of people surfing the Web will only stay on the first page of search engine results, making a presence on the first page incredibly important. Social media marketing can help you avoid the sometimes slow process of climbing up search engine rankings, allowing you to reach a very targeted audience in a short amount of time. In combination, SEO and social media marketing form an effective, long-lasting combination of online marketing, one that will help you reach the largest audience possible. Hightechholic today will present you one app that will make the time spent with your loved one even more interesting and fun. The Dating Game App will destroy the monotony in your relationship and it will make the hangouts with your partner funny and exciting experience. The guys that created this app are very creative indeed. They invented a game which couples can play in order to get to know each other, if they just started dating, or a game that they can play if they are long together, but they just want to have fun. This Dating Game will let you choose from extremely well selected categorized questions. In that way, you will expose yourself to the loved person and you will get to know her/him as well. 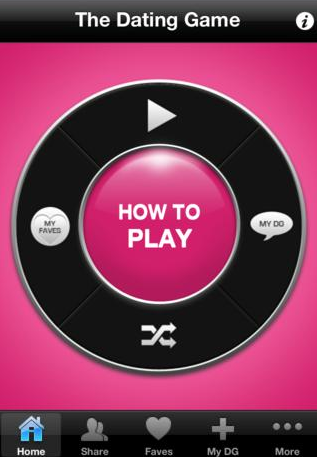 The shuffle function will enable you to ask random questions. Also, you can create and add your questions as well. Also if you find some interesting question that you think it is funny or interesting you can post it to Twitter or Facebook. Also you can send it via SMS or email. So, that is it. 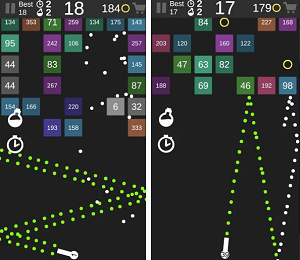 The game is simple, fun and free and available on the App Store. It is compatible with any device that has iOS 3.0 or later, so practically any iOS mobile device can enjoy this game. Generation Z consumers aren’t from the age when a company’s sole means of reaching the public came from television and radio ads, or from websites without social media plug ins, or from any other form of static and one-way advertising. Tech-savvy youth have grown up being able to instantly reach out to companies, celebrities, and fellow consumers online, usually via public posts on Facebook, Twitter, and more. This means that businesses need to be able to instantly interact with Generation Z consumers to engage, troubleshoot, and show appreciation to their market base, with the realization that such a process will be evolving and unending. Each day, more and more companies are creating mobile-specific versions of their websites for smartphone and tablet use, with designs that favor smaller screens, touch-based interactivity, and other features that accommodate the use of portable devices. As Generation Z becomes an increasingly large portion of the market, mobile-based websites will go from being a consumer-friendly extra to a vital feature, something that businesses will need in order to be remotely competitive. Many labor specialists have already noticed an increase in telecommuting jobs, especially in positions that were formerly done in-house. This trend is expected to increase in the near future, aided in part by the ease with which mobile devices allow employees to access their work from anywhere. Businesses will eventually require fewer permanent offices to house their staff, and will likely timeshare office space with other companies, with their employees spending part of the week working from home or personal offices elsewhere. While this trend is in its infant stage at the moment, many are expecting it to come into its prime by the time Generation Z fully enters the workforce. Snapchat, Skype, Instagram, Vine, and Twitter are just a few of the creative video and text apps that are being used by younger generations instead of voice calls and traditional text messaging. In order to stay relevant to these consumers, modern businesses will need to understand and embrace whatever the primary method of communication is for their target market, and reach out in increasingly unique and interesting ways within that particular medium. This will require a constant presence in social media, and the ability to rapidly adapt to new apps and platforms that will arise with increasing frequency in the near future. With the oldest members of Generation Z turning 18 in 2013, now is definitely the time to prepare for this new breed of mobile-centric consumer. By tailoring web presence and customer outreach to a smartphone- primary approach, businesses of every size will go a long way towards maintaining their relevancy with the newest generation of tech consumers. John is a blogger who is still amazed at how fast traditional PCs are being replaced by the mobile market. He writes for Internet insurer Protect Your Bubble, who can help protect your phone from damage, theft, defects, and every other hazard out there. 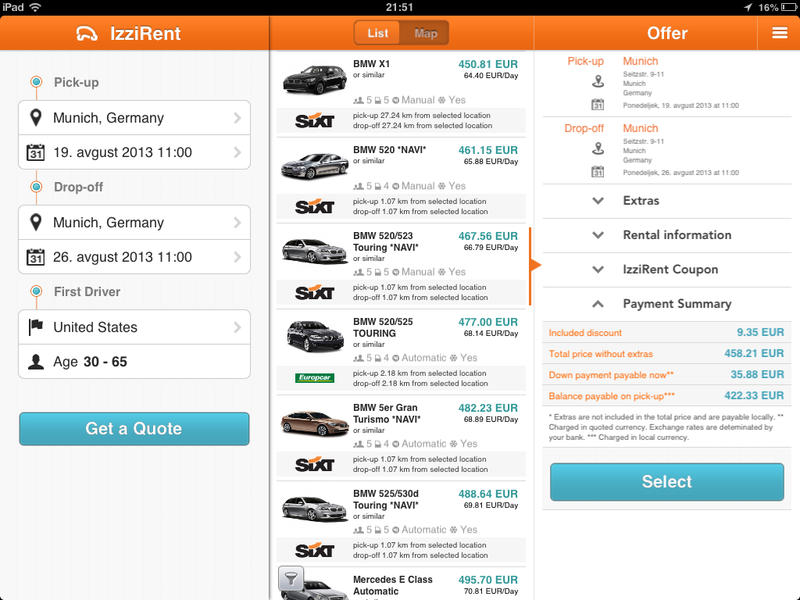 App of the Day - Before you rent a car next time check IzziRent first! Most of the famous companies that rent cars are expensive. Why not have app on your phone that will give you the best quotes and prices? IzziRent is a service enabling you just that. With its two available apps on Google Play and App Store it offers one of the best rent car services for smartphones. 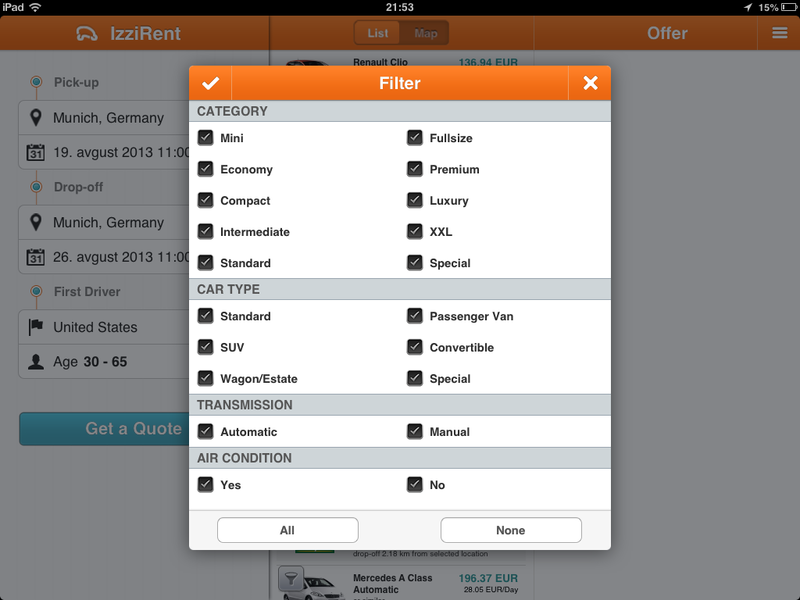 So, if you want low cost car rental, then IzziRent is the service you need to try. First of all, when you are requesting a quote they include more than 850 rent car suppliers to give you the best search results. They also offer various discounts, promotional coupons and special daily deals, with which you can save up to 60%. Their website is really nicely organized and easy to use. After you enter the pick up and the drop off place, the dates, age and country, it will give you various quotes from different companies. After you choose the car you will get detailed info about what you are paying and about the car. Then, you need to pay certain small amount in order to book the car and that's it. Also, there is online support so you can ask questions about your rental. As a every serious company, IzziRent has free iOS and Android app. These guys wanted to make simple, functional and easy to use apps and they did a great job. I especially loved the Android app, although they are not much different. These apps will let you compare rent car companies very fast, so you can get the best price for your budget. 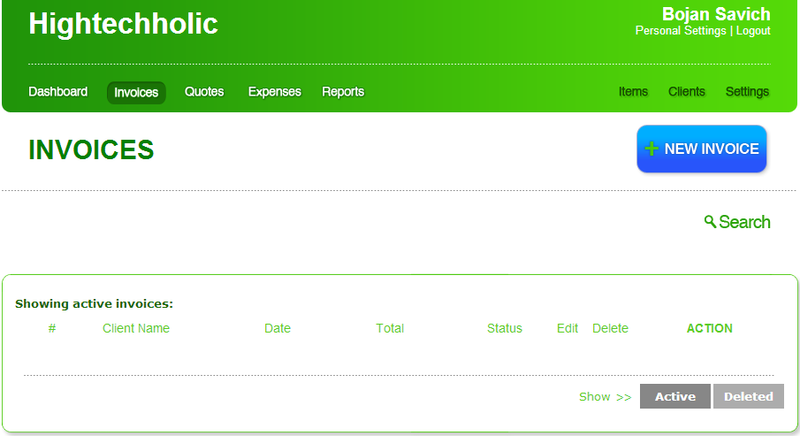 Getting a quote is really simple and fast and I like that you can also contact support directly from the app. So, if you are in a hurry, these apps will make it very easy and fast to book a car. On top of that, the apps are available in multiple languages and there are instant last minute reservations that will save you when you need to get a car fast. The apps are free and available on App Store and Google Play. Some of your work, pictures, music or any other valuable files just doesn't have price. Accident or viruses can happen and you can easily lose important files that you can't get ever again. Hightechholic will present you one of the best companies that offer online backup of files. Runlevel backup will offer you strong and unique backup support. They are one of the most professional companies for online backup that you can find on the Internet. So, lets see what Runlevel offers. There is twin cloud storage. That means that they will store your data in two separate destinations located in UK. So, your data will be copied and stored in two places to increase protection. Also, the location of this data centers is secretive and it is constantly secured by cameras and Runlevel employees. Even though today, the update of the backup is automatic, there is still work that needs to be done. Sometimes, doing this work is boring and demanding. Runlevel will manage and update your backups for you, they will take care everything is up to date. They constantly check your backup progress, maintain the archives and check that your data is healthy. If you are offline for few days they will check up on you to see if everything is ok. Also, they will contact you right away if they see that something is wrong with your backups. Runlevel is one of the most supportive companies that is responsive and wants to take the best care of its clients. They have huge, professional and kind team of employees that wants the best for its clients. Runlevel offers 5 packages. The smallest is for 200GB backup and the biggest is 2TB. What is good is that they offer 30 day trial, so you can make sure they are the right company to perform and take care of your online backup. Today we are going to present you a solution for all organizations that have server time maintenance problems. The quality team of Softros, for which we wrote about back in the past, also offer Network Time Sync Software and Network Time Client. So, lets see what you will get with this software and what are its key features. This Network Time Server, which is a client/server software, will help you create synced time environment for any kind of networks. Yes, any kind. From LAN networks of small offices to big networks of large organizations - VPN, VLAN, WAN. Also you may use it for single site networks with various domains and complexity. It will actually establish interconnected time synchronization system for every machine that is part of your company's network. Like we said this is a client/server software. So you can pretty much setup your own single or multiple time servers capable of hosting and operating thousands of time clients (workstations or any NTP/SNTP compatible devices). There is a multi-protocol support. That means that the their Network Time System supports both its own proprietary time protocol and the world's most widely-used NTP/SNTP. With this unique feature, you can customize the source time (for example, received from an NIST NTP server) and distribute it to the time clients. In that way you will keep your time synced with the UTC or you can convert it to the local time, add or deduct any number seconds/minutes/hours from the source time to have your own time offset. It will also enable you to install, move or delete your original/additional/updated licenses with ease using a built-in license manager. This tool also allows you to distribute and synchronize all your licenses across the network. It will Deploy Network Time System (Client) through Group Policy to all your Windows-based computers in just a few minutes. It will give you the ability to allow or disallow limited users to configure Network Time System (Client) directly from the Network Time System (Server) interface. Network Time System (Server) and (Client) are native 32 and 64-bit compiled executables. Both run as a system service and support all versions of Windows, from Windows 2000 to Windows 8/Server 2012. I'm sure that these are enough reasons for you to check out this quality software. It is one of the best network time server solutions out there. I trust Softros and I may convince my bosses to start using it in the company that I'm working right now. App of the Day - Motivate yourself with "A Dose of Motivation"
Sometimes life can be harsh. We all experienced days when we feel depressed and lazy. I've personally lacked motivation in so many days of my life. In those days I tend to watch motivational videos and speeches. Recently, on Google Play, I found one beautiful and simple app called "A Dose of Motivation". 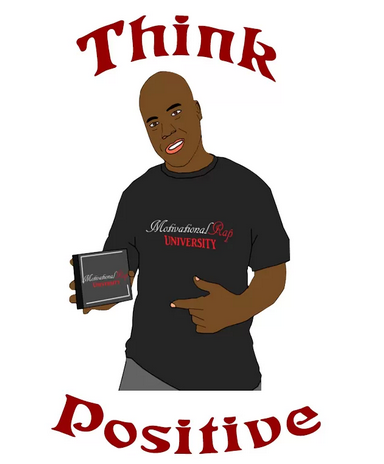 The app is created by the motivational rap artist and speaker Marcus "M-Positive" Parker. This wise man decided to create one very simple app which is composed from his personal motivational YouTube videos. The app is categorized according to what you need. There are 3 main categories: Lessons, videos and music. The lessons category contains 5 motivational videos: A plan for the future, Learn To Be Yourself, What Motivates You?, Motivation Through Music and Never Say Can't. I love his videos, he seems really like an sharp and smart man, with great talent of speaking. My favorite? Never Say Can't! Videos contains 3 videos including the life story of Marcus and Music will take you to either iTunes, Google Play or Amazon mp3. The app is easy to use, simple and fast. Everything runs smooth and it is nicely organized. You can download it from here, it is free and it has perfect rating.